Ludovic Chanson started his domaine officially in 2009, the few years before that (he's an outsider from the grower trade, having a scientific background), he gave a hand here and there to other growers and winemakers, like Montlouis producer Stéphane Cossais [who passed away unexpectedly in 2009] and also with Vincent Carême in Vouvray, the guy who made him want to become a vigneron. He also learnt a lot at the Domaine La Grange Tiphaine (Coralie & Damien Delecheneau) in Amboise, where he spent some training time. He learnt also much with Nicolas Renard (also in Amboise), who is both a good winemaker and also knows how to tend a vineyard properly (Ludovic says that you really learn how to prune with Nicolas). When I arrived at the domaine near Montlouis on my motorbike, there was only one person there, it was Fumihiko who was overlooking the press which was activating from time to time on a load of Chenin. Fumihiko was a sommelier back in Japan, and he worked for la Tortuga, a French-style bistro in Osaka with a nice list of natural wines and serving home-made food (Osaka people are gastronomy lovers and as such have been long-time amateurs of natural wine). Fumi is learning the wine trade around here in France, and he is considering starting his domaine one of these years, possibly in this part of the Loire, in Touraine, he likes the type of wines that can be made in this region. his experience in the region tells a lot about the quality of his training, he did the harvest at Claude Courtois (the domaine les Cailloux du Paradis being now managed by one of Claude's son), also he worked for Binet-Jacquet in Faugères (Languedoc), a domaine farming on biodynamics. Around here he worked for Chahut et Prodiges and he trained also with Nicolas Renard. Ludovic told me later that at one point he sent Fumihiko to Nicolas, because his pruning skills weren't that good although he had pruned on several seasons here and there, and now he said with a grin, he really knows how to prune... Fumi was to go pick at Nicolas' vineyard the following day. Fumihiko then left the press on cruise control and drove with me in his old Renault car to the parcel in the vicinity of the village. Ludovic Chanson was there with his team of pickers, helping himself pick the chenin and also alternatively carrying the full buckets to fill the boxes or checking if the sorting had been correct by the pickers, who are supposed to take down bad berries before putting a bunch in the bucket. Here in this parcel there are both younger and older vines (70 years) with also many empty spots where no vine has yet been replanted after either esca death or accidental removing by the tractor. Ludovic says these old vines make terriffic grapes, with a beautiful quality. This is the 2ng picking in this parcel, they did a first one 10 days before and left on the vines the bunches that weren't ready. He said when this visit took place that there would be certainly a 3rd picking later. This has much to do with the frost, which made the vine restart buds that reached ripeness later than the buds that survived the frost. Because they already got some losses in overall volume, they really need all the fruit the vineyard can deliver, that's why these spaced-out pickings. He tried to replant where vines are missing, it didn't work well at first but now he's seeing some results. He'll look how the few compantation trials he made behave in the future and if it's satisfying he does the same for the whole parcel, if it isn't he will pull these old vines off but that would be sad because the quality is so good. In this case of course, he'll take wood here and there (with the help of Nicolas Renard) to replant masssal selections and sort of make this old parcel go through a 2nd life. I did taste a few of these beautiful, golden-color grapes while walking up between the rows and they were so delicious and gently sweet. Asked about the extent of the damage with the frost this year, Ludovic says that it was lighter in 2016 actually, only 10 % maybe, to compare with 2016 where he lost basically all his potential fruit, reaching an overall yield of 3 hectoliters/hectare. Because of this in 2016 he bought grapes in the south of France (there wasn't much opportunities around here because many wineries were looking already), but he still found some sauvignon to buy in the nearby Loir-et-Cher département, and also chenin in Azay-le-Rideau at the Domaine de la Roche en Loire (Louis-Jean Sylvos). This year he's more optimistic although some parcels have been hit too and developped grapes with a spread-out ripeness, and yesterday he picked a parcel where rot was already spreading while much of the fruit wasn't ripe yet (he hadn't made a 1st picking for the most-avanced grapes on that parcel). The parcel has a lot of strikingly-beautiful and convoluted old vines like the one on the right, there would have been matter to make lots of great pictures. At one point as I wandered along the rows I passed a vine with what looked like fully-grilled grapes (pic on left), I think it's the heat of the sun that literally dried these bunches. So Ludovic's total vineyard surface is 6,5 hectares today, all part of the surface he bought back in 2009. He has 1,5 hectare of Chardonnay and Sauvignon, plus 5 hectares of Chenin including 1,8 hectare of young vines (between 15 and 20 years), the rest being old- or very old vines. Because of this configuration he knows he'll not have generous yields, he expects ideally 30 hectoliters/hectare. On the last vintage he got problems with the fermentations and he's looking closer at the grass management because weeds can impair with a nitrogen deficiency later in the must. Here is Kanae, another Japanese who is doing the harvest at Ludovic Chanson, she is full of energy and good mood, but was very serious when bunches needed extensinve sorting (like on the picture on right). She is from Kanazawa (Ishikawa Prefecture), east from Tokyo, on the Sea of Japan, long way from here. 8 years ago she worked at Laurent Chatenay also in Montlouis, she says he quit being a vigneron since then but she lives in his farm right now, and it happens to be very close from Ludovic's chai, so she heard of the possibility to do picking work for Ludovic. Asked if she wants to work in the wine trade herself she says no, she's looking for a job in the gastronomy sector, and actually she'd like to live and work in Brittany. That picking team was very international, here is Chris, he is a British expat who lives on the other side of the Loire river, and he seems to have some experience in the Art of sorting the good and bad grapes. Ludovic told me that he and Fumi explained to the pickers the type of grapes they have to get rid of, and he or Fumi empty the buckets into the boxes they can spot the faulty grapes that whent through and give the feedback to the picker. He says it takes time at the beginning until the pickers have a good understanding of what they want, but it works well. Here it's an usual year for having 3 pickings but he says even in a somewhat normal vintage he likes to do 2 pickings. With the frost consequences and the different maturation on the same vines he could even have made more picking passages, if not for the economic costs that come with them, having to pay for the pickers each time. Ludovic told me that day that for this 2nd picking in this parcel he intended to fill about 80 boxes, leaving enough bunches for a 3rd passage next week or later, in orde to fill a 400-liter demi-muid. He also said that before using this sorting procedure he worked with a sorting table but the grapes were damaged and also it increased the whole cost. For years he also picked directly into boxes (no buckets) but it's too heavy and tiring for the pickers. Ludovic sys this moring he took in grapes that had a potential of 13,6 % but here in the afternoon this parcel has quite a lot of botrytised grapes and the average potential alcohol will be more like 13,5-14 % and he will use this chenin for his cuvée Sec Tendre. That's why if they keep some bunches that are still a bit green that's OK, it will counterbalance the advanced maturations. He says that actually, he doesn't make cuvées that are selected per terroirs, but rather per age of the vines and per picking passages. His idea is to make is main cuvée Cabotines as a dry in the Montlouis style, serious and respecting the local terroir, leaving the other cuvées to express the Chenin differently. Normally, on a normal year like 2011 or 2014 he makes a Chenin pet-nat (les Prions), a dry (les Cabotines), a long-élevage dry (Implicite), a sec-tendre or dry-tender (les Pêchers) and also (like in 2009 & 2011) a sweet moelleux (Safran), then a dry Sauvignon (Gavroche) (not labelled in Touraine but Vin de France), and at last Chardonnay, part being vinified dry (Bel Ami) and the rest in pet-nat (Sans Pagne), which makes 7 or 8 cuvées, but it's rare that he can do both Implicite and Safran in the same vintage. Implicite should be a micro-cuvée made with a 3rd passage in the old vines, but this 3rd picking was to happen later after this visit and he didn't know yet if the grapes would meet the conditions. The 2nd passage is over, the pickers are leaving and Ludovic helped by Fumi and the box carrier loads the grapes in the truck. They're going to drive around the parcel on the grass road and pick the full boxes here and there. It's about 6 pm and the day has been busy but under blue sky and fair temperatures. In addition to his 6,5-hectare surface Ludovic also vinfies from the equivalent of 4 additional hectares as he buys grapes from fellow growers, which complements well his own estate fruit, he may pick sometimes himself but he also buys the wine or juice for some of them, like the pineau d'aunis. Ludovic in interested by the biodynamy although as a scientific-minded person he has trouble to grasp the hows & whys of this farming, but he works with the group. They made a valerian herb tea to spray against frost in 2016 but it didn't work, it certainly works at minus 2 C (28,4 F) not not at minus 7 (19,4 F), and when he saw the moon that night he felt the battle was lost... Biodynamy is like homeopathy for him, his Cartesian mind doesn't get it but one day he brought his son who had chronic ear infections (otitis) to a homeopath and his boy never had a single otitis again... So he feels he doesn't have to understand everything on how it works, but biodynamy makes a difference. The sun is going down, the grapes have been pîcked and the press filled and activated, serious things are going on with the first juice flowing from under the press. The color is turbid but no problem, and Ludovic says that it is important at this stage that the juice gets accustomed to oxygen, it will help it later. He likes to keep batches separate from press-stage to wine, and per vine-age and picking-passages, not terroirs. Later he call several friends-winemakers to come over here and taste the wines blind; as they know his different cuvées they give their opinion about which lot should go into which cuvée, the winemakers who come for the occasion are Michel Autran, Nicolas Renard, Julien Prevel, Vincent Bergeron (a young vigneron who works at Frantz Saumon but starts his own operation this year, he says, and who is a very good taster). The pressing has begun, it will last some 4 hours, without racking the juice in the gondola under the press, this juice will remaine there under for all this time. Ludovic says that he thinks empirically that there's a memory effect on the wine when you expose it to oxygen from the start, and the wine will be stronger against oxidation in the latter stages of the vinification. He says we can taste this juice but the temperature is high, there quite a share of botrytis and he may have to add SO2 in these conditions, he'll probably put 1,5 gram, just to prevent apiculata yeast and avoid acetates. There's no pied de cuve, he leaves the juice 18 to 24 hours in a vat and then he flows it directly into the barrels downstairs in the cellar. Ludovic says that he doesn't taste the juice under the press at the beginning because the first juice may scare him, he'll wait the rebêche, the final pressing after the mass of pressed grapes have been moved inside the press. For the choice of the program, he changed his protocol 2 years ago, he start in automatic mode with 0,2 bar for 10 minutes, then the pneumatic press will deflate and move the grapes (rebêchew), he'll press again at 0,2 bar, then rebêche again, then 0,4-bar/rebêche, 0,6-bar/rebêche, up to 1,1 bar and at one point he switches to manual mode, at 1 bar, then rebêche again, then 0,8 bar to 1,4 and rebêche. We went down to the cellar a few steps down, there's first some sort of high-ceiling vat room, then if I remember more steps and you reach the barrel cellar. I guess the temperature of this vat room is more stable but Ludovic says that it's a bit too cold sometimes. Speaking of the barrel cellar istelf (pictured below), it's a long tunnel-like type, there are issues with the low ceiling which seems about to fall down here and there, but Ludovic also bought another one close from here (no shortage of cellars here also) and he will move the barrels for the next vintages. His newly-purchased cellars 200 meters from here (which I didn't visit) need some remodeling but they're very roomy, consisting of 3 large tunnels. While the pressing is going on, Ludovic and Fumihiko proceed to the filling of barrels downstairs in the cellar with the chenin juice of a previous pressing. This is all by gravity, the juice remained a day or so in a vat for débourbage, they connect a hose to the bottom of the vat (pic on left) and just let the juice flow by itself into the barrel. Ludovic stands near the barrel when he thinks it's about to be full, usually just by the noise he knows when that moment comes, but uses his cellphone light at the end to have the flow stop in time. Speaking of the barrels they're relatively recent in terms of age, he likes to buy 3 or 4 of them (new) per year when he has money, he didn't do it last year because there was little wine to make. He did buy used barrels before but wasn't happy with what he got and he doesn't want anymore. He still has a few Vicard barrels which he bought with the facility, they're not bad but they're reaching their age limit now, and it costs 1000 € apiece new, so he delayed the replacement (he works only with 400-liter barrels now). He also discovered Adour barrels through Stéphane Cossais who used them and he liked the wines Stéphane made with this oak, so he bought from them with good results. He also bought from the Tonnellerie de Mercurey (he was the first Loire client of this Burgundy cooperage), good products also, and he is also interested in the barrels of Atelier Centre France (a coperage I've heard lots of compliments about by artisan vintners). He uses 400-liter demi-muids but he says it's wrong to assume these higher volumes are less woody on the wines, it's not that simple and you have tio choose carefully the toasting. But they're very convenient because you put more wine per available square meter. Here is Ludovic's old straddle tractor, obviously another of these beautiful vintage machines that seem to live forever (it's a Loiseau 1971), it's the one he uses for the because it's very easy to maneuver and has only a 1,5-meter width, and he never had to fix anything on it, runs so well... He parked it under a roof on the side of his chai. He has another, more recent straddle tractor also, which he bought to Nicolas Renard, already parked under in the barn on the side. They also have a modern tractor through a CUMA (collective ownership of agricultural tools) with everything included, like spraying tools, driver, plows. Having an appointed driver is good because he is the one who takes care of the machine. In addition to his new cellar he also bought a barn belonging to a different owner which he is going to put in order and remodel so that his next vintage (2018) will be hopefully vinified over there. He'll build an insulated construcion in the cellar so that there's no need to have temperature control, he doesn' want to have vats or fermenters in the cellar part, because it's too cold and there are hygiene issues also. There's also this old Renault on the left (not that old actually, just from the 80s'), Ludovic says they're 4 growers to own it (not an official CUMA) and because of that it's not in a very good shape (often the case with multiple owners). When Ludovic bought it idt was in perfect condition, then some other growers joined and took shares in the ownership. They all use it a lot, Ludovic himself for the light scratching of the soil (griffage), or to mow the grass. Fumihiko was undoubtly a sommelier in his previous life, he has the natural and swift way to pour the wines without hesitation. The work day is at last behind them (except for the checking of the press) and Ludovic has opened a couple of bottles. Ludovic says that this year he's pretty lucky to have lost only 10 % of grapes this year compared to some other growers of the region. also what save him was certainly that in april there was no grass left in the vineyard (high grass intensifies the fros damage on the vines) and also the fact that he stopped doing his light scratching 15 days before the frost. He remembers that in 2010 with Bertrand Jousset they used to plow/scratch the soils at this season and François Chidaine who was passing by warned them that they were endangering their vines in case of frost occurence and he was right, the temperature dropped the following morning and they lost 100 % on this parcel. So, not only high grass is not remmanded but also plowing just before frost, because in the following hours humidity comes out of the plowed (or scratched) ground and endangers the buds and shoots as well. Now they're very careful and stop touching the soils 15 days before the tricky end-of-april. __ Les Pions 2015, Pet-Nat (natural sparkling). Spent 24 months sur latte. the bottle here is among the last disgorged. Just delicious, what I like he is it's so vinous, with the bubbles really in the back seat. It's ripe and fills the mouth so well with a light oxidative feel, lovely. His first try with a sparkling was with a small parcel belonging to Vincent Carême, this was in 2005 and Vincent couldn't legally use the grapes because the parcel was only 2 years old, so he had left them hanging, saying to Ludovic that he made a try with them. he vinified the pet-nat in his own garage, rushing to buy 3-hectoliter vats for the occasion. He had also experiences with pet-nat at Damien Delecheneau, also with Nicolas Renard and Elise Brignot. Ludovic says pet-nat are sometimes complicated to do, they can go astray but he loves this type of sparkling. For him a pet-nat must be a wine with bubble, the wine feel must come first, all the while keeping the tension. He likes this vintage of pet-nat, that's the type he wants to make. in 2014 it was too rich a pet-nat in his taste. I 2016 he made some but from purchased grapes. He makes usually 2500 to 3000 bottles of pet-nat, of which 600 are shipped to Japan, this year 300 go to the U.S. (he's starting to work with Selection Massale) but most of this cuvée is sold in France and he tries to keep it that wxay because these bottles deserve to be placed on the wine list of high-end restaurants (he sells much in Paris and also Brittany). Speaking of the wine fairs & tasting events he attends, Ludovic says he goes to the Levée de la Loire in november in Paris (november 6 in 2017) where he kind of presents his new cuvées. 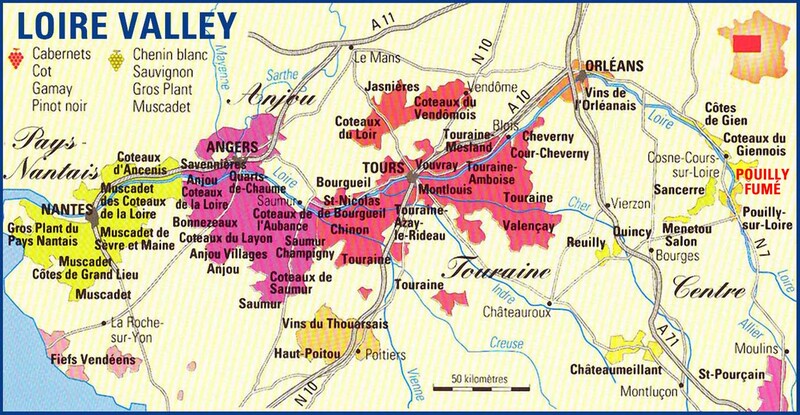 He goes also to the Levée de la Loire in Angers (but not this year because of lack of volume and these are purchased grapes). he also makes a salon off on the side of Millésime Bio in Montpellier : Roots 66 (here is the poster for the gathering in january 2017), it's a small tasting event he makes with 3 other artisan vintners from the Loire, people he likes a lot because they're very serious in their approach. He'd like to take part to La Dive, he goes there to meet other vignerons and taste, but he was never proposed to go there. That's all, he stopped taking part to the other wine fairs. But he makes also an open-doors event (Portes Ouvertes) in early december, it's a festive event with several vignerons and people can also buy wine. This open-dors event takes place the 1st weekend of december, usually there are Binet-Jacquet, Michel Autran, Nicolas Renard, and this year there will be also Vivien (who makes a wonderful Poiré and also some Grolleau) and Julien Prevel. __ Les Cabotines, Montlouis 2015. Ludovic says that the vintage 2015 was not that easy actually, his yield was 22 hectoliter/hectare which was not bad but he didn't have a wide array of choices to make his cuvées (and he like to have one to the last minute). But he likes this cabotines 2015. And he says there was a blind tasting of dry chenins recently organized by Decanter (Loire dry Chenin Blanc - Decanter panel tasting) with a couple hundreds Loire chenins of both 2014 & 2015 (maximum residual sugar 9 grams & Vin-de-France/table-wine allowed). To his surprise with such a chenin tasting where the best wines took part, his Montlouis stood out : got 3rd for the whole tasting (the 2014 & 2015) and 1st for the 2015. He doesn't like to brag on medals but he was still very happy of this recognition. The cuvée Cabotines is vinified 100 % in barrels. The wine has oak aromas with freshness and ripeness, it is a dry with a bit of resudual sugar (7 or 8 %) and a good acidity. Ludovic says that Chenin is reductive and vinification/élevage in wood aerates it, makes the oaky notes fine. He made 5000 bottles of this, and this is the cuvée he wants to make every year, chossing and blending different batches to get this, in the Montlouis spirit, that is, with minerality, acidity and ripeness. Ludovic usually also makes a pet-nat rosé with Pineau d'Aunis which has a lot of success, gourmand and with strawberry notes, but he will not make the cuvée in 2017 because of the frost, but this will come back next year. He buys this pineau d'aunis in Saint Romain sur cher. This year he bought 25 hectoliter of Grolleau instead, of which he sold 5 hectoliters to Julien Prevel, Ludovic loves grolleau also and he is happy to make a trial, but he can only make a rosé with it because the yields are pretty high, like 60 ho/ha. Speaking about these négoce wine he makes, he pours us a mystery wine from 2016. __ Mystery wine 2016, hinting that it's a blend of 3 varieties and it was bottled 3 days before. The wine is lovely but I have no idea; he says thre is a chenin (farmed on biodynamy and he did the picking himself) from the Loire, the two other whites being sourced from the south, the Chardonnay and the Gros Manseng were delivered here as juice (organic juice) refrigerated at 3 or 4 °C (37-39 F). Was vinified in barrels, should recover from the bottling shock and will be ready for tasting in november. There's a bit of residual sugar, he says, 4 or 5 grams, doesn't feel at all, just gives a pleasant richness. We should have gotten it with all these clues, this will be cuvée Cabotines 2016, this time a Vin de France (because of the frost in 2016 he didn't use his own grapes). He made this négoce cuvée as much as possible in the spirit of his Cabotines, it helps him also keep his many barrels full, his work style pushing for having them always full so as not to put SO2 or sulfur wick. Very nice wine, nice job with this first blend of its kind (and he'll never do it again probably, he says, returning to his chenin for the next Cabotines. This said, he's very interested by the Gros Manseng as a variety. __ Another mystery wine, this time a single-variety wine (white). Color : golden with green reflections. In the mouth, nice structure, richness with residual sugar (9 or 11 grams). This is his Montlouis Implicite 2015 (Chenin Blanc of course), bottled tuesday september 26th. Vinified without SO2 from A to Z, exceptfor a little bit the day before bottling. Stayed 24 months in barrels (60 % of them new). This was grapes of super quality, Ludovic says, he made 1200 bottles of this, plus 200 magnums. This is a 3rd-pass picking on the old vines, no young vines in here, it's a powerful 14 % Chenin with character, that's something he want to make also in Montlouis. Very nice indeed, beautiful unfiltered wine, full mouth with length. Will sell for 11 € without tax (Pro price). He'll not make this cuvée every year, he needs the right grapes and maturity for it, this year (2017) maybe he'll manage to make 600 liters but it has to fit this type of powerful expressive Chenin, for him it's an exercice de style, it's his own rendering of the Cossais wine (Stéphane Cossais). Ideally the wine should wait another 24 months in a bottle cellar, but it's up to the buyer to wait at least a bit. 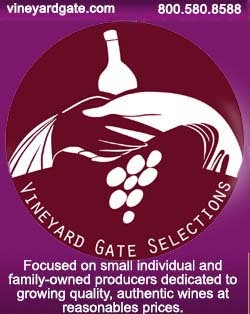 Sounds like a fantastic producer, and if I ever get back to that area, I'd love to try his wines. And I think this philosophy is fantastic: " he prefers to find conventional vines that have been well tended (bien conduites) for the pruning part and sap flow in particular, and convert them organic, than have to correct an already-organic vineyard that has been terribly neglected over the years, and he says that there are alas plenty of the latter if you look close..."
The 2015 cabotines is really good!